The monitoring team observed that retailers in the said market are selling agricultural products with an average of Php 10.00 per kilogram price markup which, according to Trade Secretary Ramon M. Lopez, is still within reasonable profit margin. However, Letters of Inquiry (LOI) were issued to two (2) retailers of chicken for selling said commodity at a higher price markup, and to one (1) fish vendor for selling milkfish above the Suggested Retail Price (SRP) set by DA. In previous interviews, Lopez said that since farmgate prices of agricultural products are going down, the retail prices should soon follow. 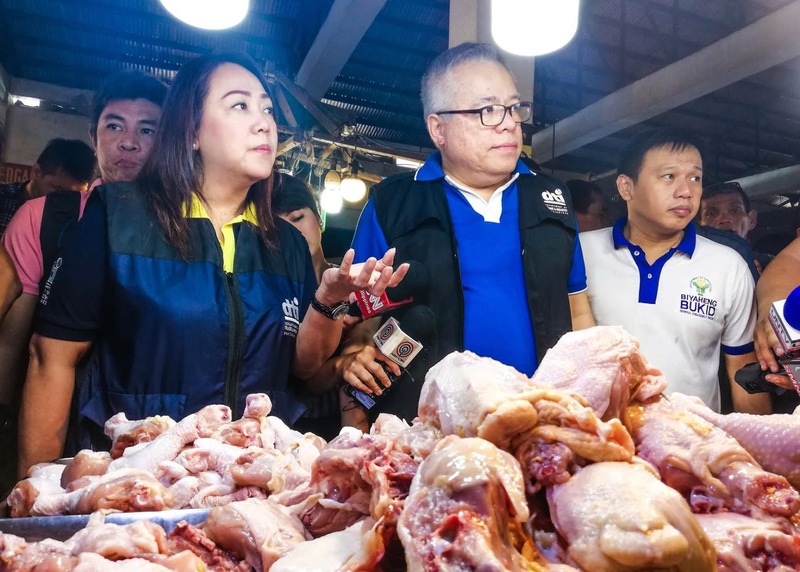 The DTI and DA have met with several poultry and livestock producers associations and are now approaching traders to lower the baseline prices of agriculture products. The dialogue, together with the conduct of price monitoring activities will be used in the study of the supply and price situation in the market, from the producers’ side to the distribution chain, and to the market ports. The trade and agriculture departments vow to regularly conduct intensified price monitoring activities all over the country to ensure the reasonable prices and adequacy of supply of basic and prime goods, especially on agricultural commodities whose prices are most volatile.